"Knitworthy" is a term that gets discussed a fair bit in the knitting world, particularly in the run up to the winter holiday season. What makes someone knitworthy is an ongoing, and sometimes contentious debate - the recipient's appreciation of and understanding of the value of handknits is dissected within an inch of its life, their ability to care appropriately for said handknitted gift is considered, and the giver's ability to "let it go" (it being the knit item in question) is discussed and pondered. It's a tough thing, putting all the time and energy and work into a handknit present when you're not sure what will happen to it in its new home. What you don't hear discussed very often is if someone is "spinworthy". 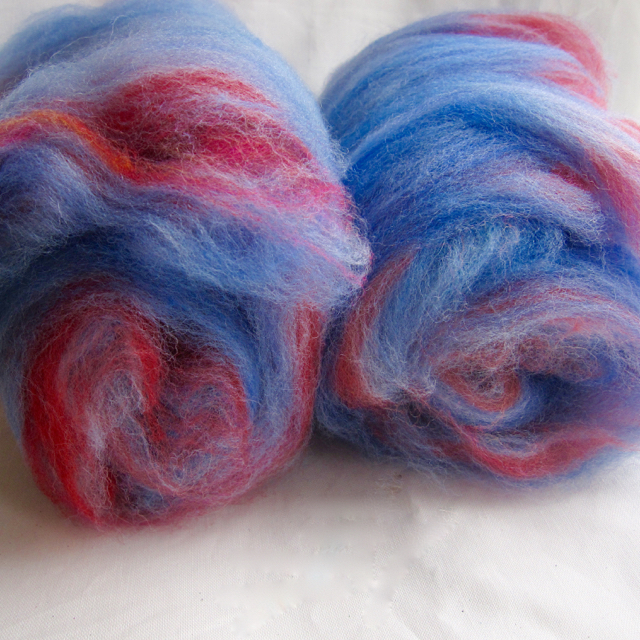 For me, spinning a gift for someone is a different undertaking then knitting something. 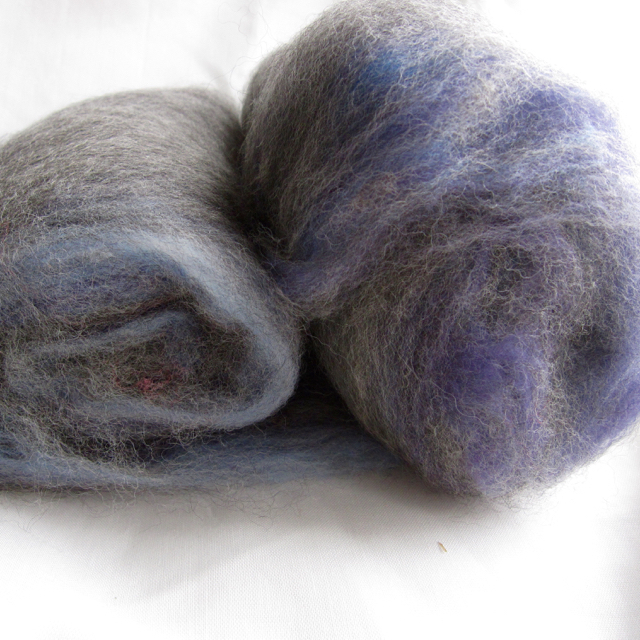 When I spin, part of the enjoyment is in being early in the creative chain that begins with the sheep growing the wool and ends with the finished object. I take a raw-ish material (the "ish" being reflective of the fact that I'm usually working with already processed but not always dyed fiber) and create something that, while beautiful in and of itself, isn't actually the finished product. 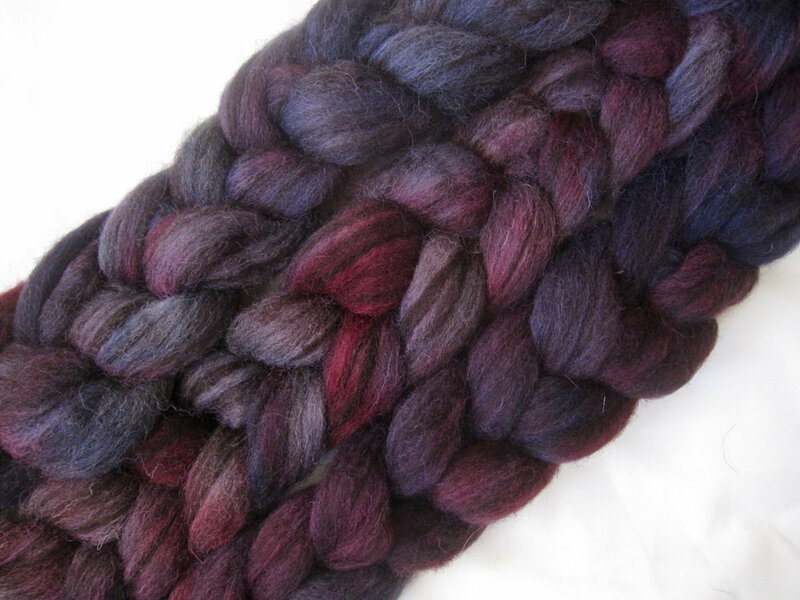 There is still potential in that skein of handspun - it might grow up to be a hat, or a cowl, or some warm cozy mittens. 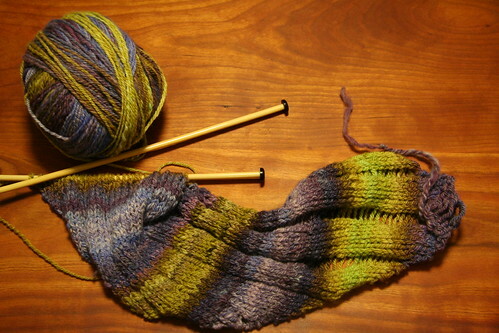 It might end up as a square or two in a big blanket, or an edging on a sweater, or just about anything at all. The final fate of that wool is still up in the air. All of this is a rather long and indirect way of saying I've finished a big spinning project. For Christmas in 2013, I gave Alli a sweater lot of handspun, fiber and colors TBD. After much back and forth and a bit of sample dyeing/spinning, she decided that she wanted yarn to knit the Gradient Pullover by Amy Miller. We went back and forth on colors, but she finally decided to go with the same pale to deep orange as shown on the pattern page. 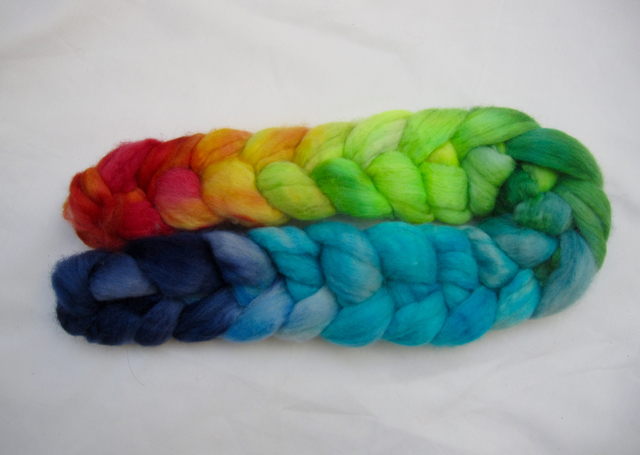 After some disagreement about fiber (I was pulling for BFL, she was enamored of merino-silk), we finally found a solution (that is, she got her way), and the project was underway. Yardage: 455 yds/6.8 oz of light orange, 645 yds/7.9 oz medium orange, and 660 yds/9.4 oz dark orange. 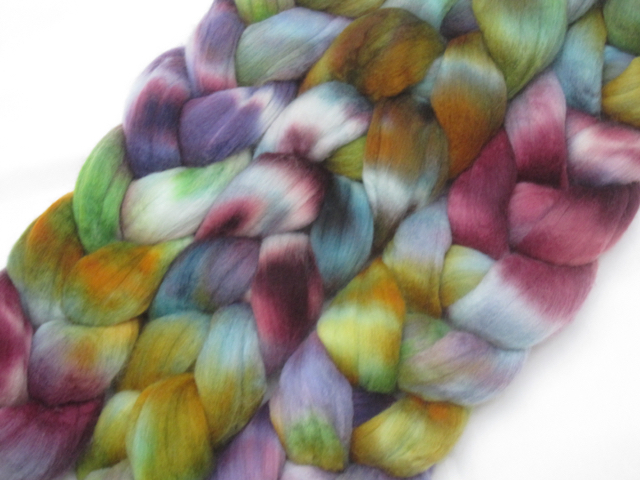 Plus a couple of mini skeins of medium and dark so she can swatch. Total yardage 1760 yds/24.1 oz, approximately 1170 ypp. The medium orange is a bit lighter in grist then the other two (sport vs. DK) but I think they'll be ok all together. There's a bit of odd plying going on in some places, but that can be fixed if needed down the line. I'm hoping it will be a non-issue when knit up. So - Happy Late Christmas A! You are definitely spinworthy, but no, I will not knit the sweater for you.